PYCC is back and representing at the 2019 Yoga Reaches Out Event to benefit the Boston Children's Hospital! Please join us for a day of yoga, community and inspiration! Every year we are in awe of the greatness of this event and the difference it makes on the lives for so many children and their families! We hope you will join us! Click here to join the PYCC Team! And, if you aren't able to attend this year, please help me reach my fundraising goal by making a donation! Any amount is greatly appreciated! Yogis from around Cape Cod are teaming up to raise funds and awareness for RecoveryBUILD, a program created by Behavioral Health Innovators, Inc. 501 (c)(3), to support local teens struggling with substance use challenges. This program combines fun social activities with the support of a licensed counselor and peer recovery mentors. On June 8th, there will be a yoga class taught by Jill Abraham, Stephanie Briody, Leigh Alberti, and Susannah van der Wende at the Monomoy Regional High School from 11:30-1:00pm. Bring your friends, create a team or set your own personal fundraising goals! Minimum donation is $50/adult, $10/Middle School or High School students. All checks should be made payable to: Behavioral Health Innovators, Inc. (BHI, Inc.) Come early to shop the Wellness Vendor Marketplace for amazing merchandise and stay after class for the Community Gathering! For more information on RecoveryBUILD, visit: www.bhinnov.org or contact Stephanie Briody at: (609) 203-9520. Please donate to my personal page or register yourself by clicking here. 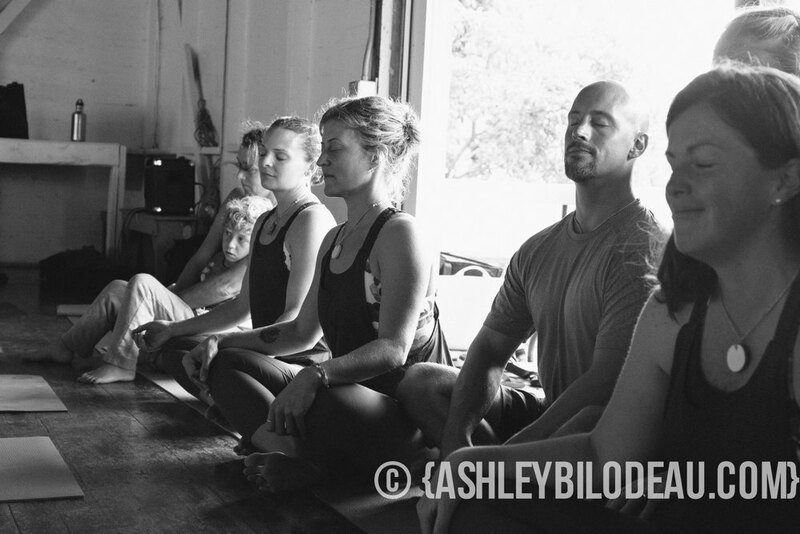 Join Jill for two workshops at Love Yoga Fest this year! A Look Into the Seven Spiritual Laws of Success by Deepak Chopra : In this workshop, Jill will guide you through a meditation that will allow your inner dialogue to quiet down and your Soul's wisdom to emerge. We will discuss the Seven Spiritual Laws of Success (a book written by Deepak Chopra) and look at ways to apply the laws into your everyday life. A journal and a pen is needed to take notes and to create a daily routine to implement the practices in your life! Your Body Is Calling with Jill Abraham and Rory Eames (from Organic Market)! In our times, the most common diseases we face stem from diets which are filled with highly processed, sugar and salt laden foods that contain little to no nutritional value and empty calories. The top diseases in our culture are heart disease, diabetes, obesity, high cholesterol, and cancer. In this workshop, you will discover the power that your food choices have on living a life of optimum health and vitality. Jill and Rory will introduce ways to switch your diet away from the S.A.D. (Standard American Diet) to an alternative, energizing, healthy, delicious diet that will make you look and feel great! This workshop is designed to challenge your traditional views of eating, and will push you to your edge. Bring all your questions as this will be an opportunity to discuss any confusing messages that are out there regarding diet and nutrition. You will breakthrough limiting ideas of healthy eating, and discover a whole new world of possibilities! Please go to the LYF website at loveyogafest.com to sign up!! Join us on June 23rd to raise funds and awareness for RecoveryBUILD, a program to support teens struggling with substance use challenges on Cape Cod. RecoveryBUILD is a place where teens come together with their peers to build the tools, skills and relationships to deal with substance use challenges under the expert guidance of a Licensed Counselor and Recovery Coach. There is an 85% increased recovery rate for teens involved in such programs as RecoveryBUILD (vs. 30% for those who have no support in groups like these!) Please help us make a difference in the lives of the teens of Cape Cod! JOIN US on June 23rd for a class taught by Jill Abraham, Stephanie Briody, Leigh Alberti, and Susannah van der Wende at the Monomoy Regional High School from 11:30-1:30pm. The cost of the class is $50/person and donations are welcome! If you'd like to be a Sponsor of the Event ($500 donation) or a Contributor ($250 donation) please email Jill at poweryogaofcapecod@gmail.com and we can include your logo on our banner at the event! All proceeds will go to RecoveryBUILD. Sign up on the DPORT WORKSHOPS Page to join us today! Join Jill for a workshop of fun, creativity and manifestation at Let's Get Glued! In this workshop, we will use the principles of Feng Shui to create a vision board of our dreams! Vision boards are an amazing tool for imagining and creating your life through images and words. We will spend some time setting up the layout of the Vision Board by learning the basics of Feng Shui and how Feng Shui can be useful in being intentional and clear about each area of your life (ie relationships, career, creativity, travel etc. ). The process will also help plant your goals and intentions in your super conscious mind and send them out to the universe for the purpose of co-creation. Once the vision board is created, seeing the board and getting present everyday to that which you would like to manifest will accelerate the process of the visions of what you want to be, do and have manifesting in your life. All supplies will be included! All you need to do is show up! $35 in advance. $40 day of workshop. and come together for Dream Day On Cape Cod! Join Jill, Leigh, Susannah, Eric, and Mary Catherine, for an AWESOME and INSPIRING class filled with LOVE, Joy, and INSPIRATION to MAKE A DIFFERENCE for the lives of MANY MANY people!! Sign up now to reserve your spot! Let's FILL IT UP and ROCK the HOUSE! Let's raise $25,000 for this awesome camp, who so generously contributes their time, money, and services to the lives of families struggling with serious illnesses or even life threatening ones. It will be an EXTRAORDINARY Day! We hope you will join us! The event will be held at Cape Cod Sea Camps in Brewster on 6A. All funds raised will be put towards helping Dream Day upgrade their facilities, provide more families the opportunity to come for a week long stay, and general operations of the camp! Any donation is extremely helpful and appreciated!